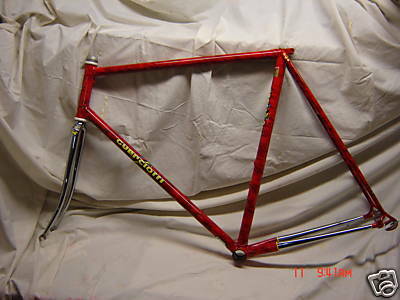 What happens when you watch eBay for lugged steel italian bicycle frames for a while? You end up buying one…. 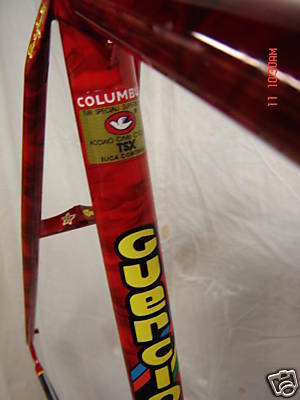 at first it was going to be an orange 1989 Olmo NOS frame, but then there was the Guerciotti. 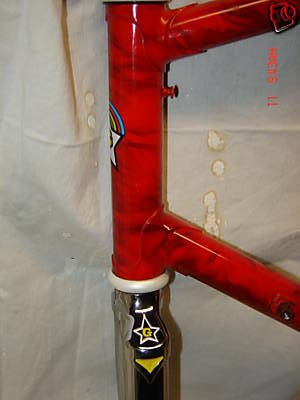 Not too many miles, lighter steel than the Olmo, internal cable routing, and I’d actually ride it since it wasn’t untouched out of a box. 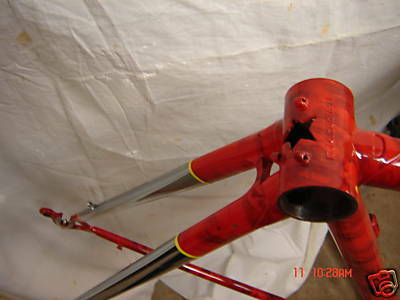 Now to find all the other pieces… Welcome to the bicycle addiction.